Plans for summer 2013 | One year, one job. Is your office in need of an extra person this summer? Do you know of an event you think I should go to? Would you be interested in consuming homemade baked goods? It’s suddenly dawned on me that I am finishing university very soon. May 11th, in fact. On that day I will leave my final lecture (Topics in the Study of Meaning in English at 2pm in case you were wondering) and then I have a few essays to finish up by May 15th. On May 16th I leave my current job at Reason Digital and then celebrate my 21st birthday on May 17th before packing up sticks and moving back home that weekend. So come May 19th, I’ll be back in the South East with nothing to do until I start my new job on September 8th. That’s three and a half months of nothingness. In recent years I’ve spent my summers working on reception at a local Neurological home but it seems this summer they no longer need any cover staff and also I’ve realised I’d probably rather be spending my summer doing something I’m a bit more passionate about. I love social media. I love writing. I love blogging. I love creating campaign ideas. I love attending events. There are also many other things I’m interested in as well as my extensive work experience which you can read all about on my LinkedIn profile. I’m free from Monday 20th May until Friday 5th September with a planned holiday from 19th-24th June. Other than that I’m very free and very open to helping out wherever I can in whatever way I can. I live half an hour north of London so I can easily travel anywhere from London to Cambridge. I’m eager to travel anywhere else too. Yes that’s right Australian/American social media agencies, I am 100% available. Be it a summer job. A series of work placements. An odd day of helping out set up an event. A stint of volunteering. Or even just a room of mouths willing to eat the endless amounts of baked goods I tend to produce when I’m bored. Please let me know if there’s anything you think I should look into or any events you think I should attend. Any suggestions are hugely appreciated. Drop me an email, tweet me or leave a comment below. 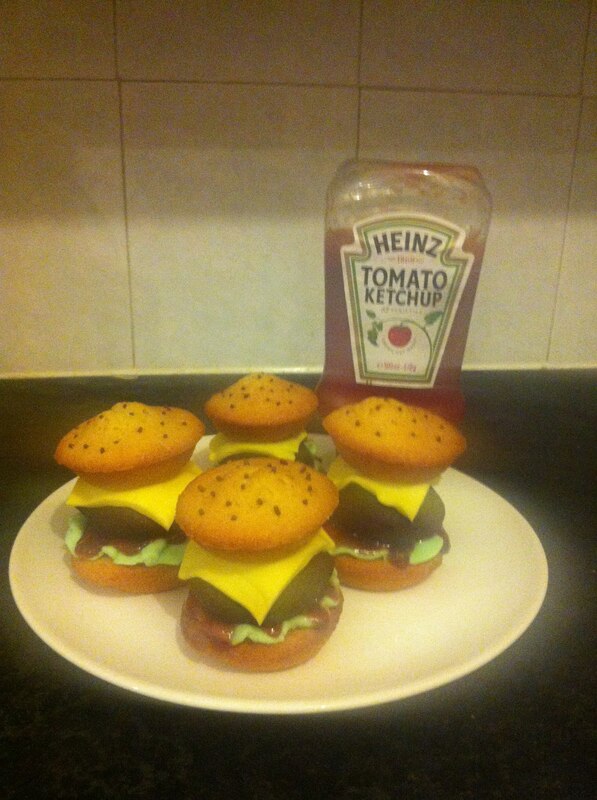 You could be eating burger cakes. Or normal cakes or cookies. I bake those too.